This entry was posted in General Conference Calls and tagged Andys Live Show, NAA, National Agents Alliance, The Alliance, The Live Show, The Wednesday Call Live, Tour, TWC. Bookmark the permalink. The Wednesday Call Live (TWC) for April 9, 2014: This file is an audio recording of Andy's Live Show. If you would like to access the video version, check out the NAAtv Live Archives! The Live Show will air again on April 16, 2014 at 12:30 PM ET. 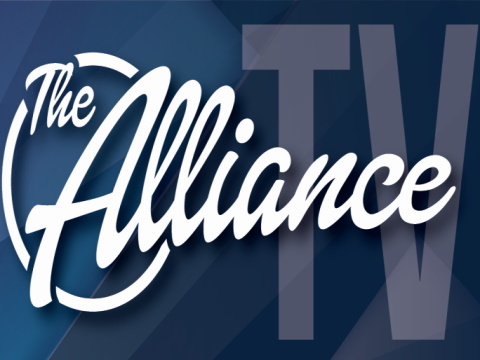 The Wednesday Call Live (TWC) for April 9, 2014: Andy Albright hosts a live conference call and meeting from National Agents Alliance Headquarters in Burlington, NC! Andy's live show covers all kinds of great topics, including training, information on team building, new developments that are in the works, and frank discussions with your fellow agents (beginner and top level managers alike!). If that wasn't enough, the live show also provides motivation and encouragement that will help get you fired up and ready to roll! Be sure to tune in and take advantage of the great info in today's Wednesday Call. The Wednesday Call Live (TWC) for November 20, 2013: Matt Taflan from AMP Studios guest hosted while Andy Albright is on the road this week..
Matt took viewers on a tour of National Agents Alliance's ever growing campus. The tour started at Pro Data Research where Matt talked to PDR manager Tony Hardee about all the things that come out of NAA's mail house. Who knew PDR managed so much stuff in house? Printing, shipping, mailing and more! Matt's next stop was NAA's Maple Avenue office where all applications are processed before they go out to our carriers. Chief of Operations Marshall Pettigrew showed Matt around the building and talked about the process of handling agents' applications. The next visit was the telemarketing department where manager Kevin Sandusky explained what all telemarketing entailed during a given week. NAA University's Coach picked up Matt to personally deliver him to NAA's main campus. After taking the long way back to campus, Matt crawled out of the American Ride with a little help from Robbie Craft in the ABTF. While Matt was still touring National Agents Alliance HQ, a video of Chris and Cortney Long speaking at the Burlington Fall Forward was shown to let new members of The Alliance hear their story. Chris urged people to be open to growing and becoming a better you using The Alliance. Matt found his way to the server room in a top secret location where he was soon whisked away with almost no notice. Making his way to the NAA store, Matt met with store manager Becca Chavis. She covered the various resources available in the store. The next clip from Fall Forward highlighted Mike and Noelle Lewantowicz. They shared their history with The Alliance and how they have decided to be more committed than ever to NAA. Matt head upstairs to the NAA game room to speak with Gary Hoke about the numerous technologies used by National Agents Alliance. From there, Matt talked with Jessica Byrd of the Lead Performance Team about what LPT does to help our agents. The next clip featured Adam and Beth Katz from the Burlington Fall Forward in October at NAA headquarters. Adam shared why The Alliance has meant so much to his family. Matt spent some time with President's Club and liaison Justin Tripp, who explained the benefits and features of this service. After leaving President's Club, Matt literally dropped in on the Eventures team to see what they were doing. Matt learned all about the numerous events held annually for agents. Be sure to tune in next week when Andy is back to host The Wednesday Call! The Wednesday Call Live (TWC) for April 3, 2013: This file is an audio recording of Andy's Live Show. If you would like to access the video version, check out the NAAtv Live Archives! The Live Show will air again on April 10, 2013 at 12:30 PM ET.